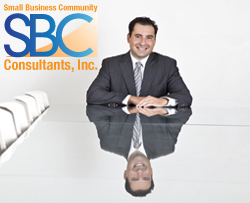 The SBA 8A Certification - SBC Consultants Inc.
WHY OBTAIN THE 8A CERTIFICATION??? In our last article, I spoke about the 2 main reasons why a Women Owned Business should become Federally certified as a WOSB. The 8a certification, although has similar reasoning, there is one particular trait about it which makes it very special. MONEY…. 23% of all Government contracts are required to be awarded to 8a certified firms. That is, all federal agencies, departments of agencies etc. are required by the Federal Government to give almost a quarter of their contracts to only 8a certified firms. This not only reduces the competition significantly it levels the playing field so that Small Business may complete more fairly. During the first term of the Obama administration, $376.2 billion in contracting dollars went to Small Businesses. This is a $48.1 billion increase over the four preceding years even as we have reduced contracting spending overall. This tells us that the Government wants to help Small Businesses by giving them new opportunities to grow. The 8a process for those who have attempted it, know that it is quite lengthy. The average time it takes to complete the certification will vary between 20-40 hours depending on the business structure, its owners etc. Some of our clients who have attempted to complete it themselves have decide to hire us instead to avoid the headache of trying to understand the complexity of the program. We ONLY consult with Los Angeles based companies. That keeps us local and will allow us to give the best service to our clients. They know we are just a few miles away and can call or meet with us as often as they would like. *If you would like to learn more about the 8a certification, please visit the 8a LINK HERE: http://www.sbclending.com//services-8a-certifications.php. The SBA Women Owned Small Business (WOSB) Contracting Program. How to Obtain a FREE DUNS Number.